The founder of Comcast, Ralph J. Roberts, a pioneer of the cable television industry, died Thursday night in Philadelphia. He was 95. Roberts led Comcast -- now the nation's single biggest cable provider -- for decades and remained the chairman emeritus of the company's board of directors. His son Brian became chairman and CEO of Comcast more than a decade ago. On Friday morning Brian and the rest of the Roberts family said in a statement, "Ralph was a remarkable man who touched the lives of so many people." "He was a wonderful husband, father and grandfather and perhaps most importantly, a kind and humble human being," the family said. "He will always be remembered for his generosity, integrity, honesty, kindness and respect for everyone around him. He was an inspiration to us all and we will miss him greatly." Comcast, based in Philadelphia, credits Ralph with growing the cable provider "from its humble roots as a small, regional cable company into the global Fortune 50 media and technology leader it is today." Comcast now provides TV and Internet to one out of six American households. It also owns NBCUniversal, the parent of the NBC broadcast network and a wide array of cable channels, production companies and theme parks. Roberts, a World War II veteran whose trademark look was a well-knotted bow tie, worked in advertising and ran a men's apparel company before starting Comcast through the acquisition of a tiny cable franchise in Tupelo, Mississippi. The year was 1963, and most people hadn't even heard of "cable" yet. Even the broadcast airwaves were still a novelty. Roberts had just 1,200 subscribers in Tupelo. But through a long series of acquisitions and expansions, he gained territory in other states and helped to establish the American cable television business. His company said in a statement that Roberts' "vision and spirit have been at the heart of Comcast and our culture for 50 years." After Roberts' death was announced, his colleagues and competitors in the television industry praised his friendship and generosity. Rob Marcus, CEO of Time Warner Cable, which tried to sell itself to Comcast until the bid was stymied by the government, called Roberts a role model for exemplifying "the value of working hard and treating others with kindness and respect." Tom Wheeler, the chairman of the FCC, which blocked the Comcast-Time Warner Cable bid, hailed Roberts as a pioneer and a "good man." Michael Powell, a former FCC chairman who now runs the cable industry's trade association, the NCTA, said Roberts "embodied the American dream." 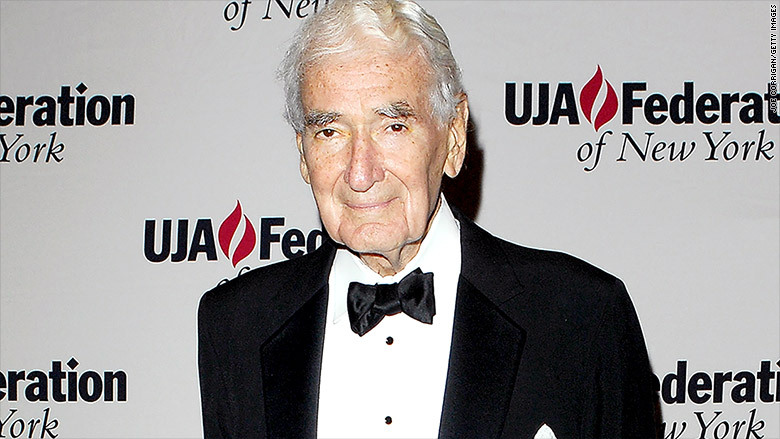 "He built much of the cable industry with his own hands, taking a small nascent service offering consumers greater television choices and building it into one of the most significant industries in the country today," Powell said. "Ralph's impact will live on forever." Roberts is survived by his wife Suzanne, who was his spouse for 70 years, as well as four of his children and eight grandchildren. The family is planning a private service.